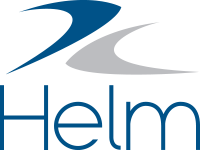 In Helm CONNECT Maintenance, the Inventory module provides current parts estimates for each of your assets, such as your vessels and warehouses, and enables your crew to update those quantities simply by recording the parts they use. Before you begin using this module, you must build an inventory of the parts you want to track for each asset, then set the initial parts quantities each asset has on hand. Before you begin tracking inventory, you must tell the system which parts you want to track for each of your assets. You can build your inventory by selecting from the list of parts available to each asset, based on its asset type, and letting the system know you want to start tracking each part. From either the Inventory or Onboard menu, select Inventory. Click the Parts tab, then click Edit. From the Asset list, select the asset you want to track parts for. From the Part list, select the parts you want to track. Click Save to add the selected parts to your inventory for the selected asset. (Optional) to track parts for another asset, repeat steps 3 and 4. To save your parts inventory, select your name from the Recorded By list, then click Save. When you add parts to your inventory, you must let the system know how many your assets currently have on hand. For each part, enter the initial quantity in the +/- field. This will affect the number displayed in the Est Qty field. When you’re finished, select your name from the Recorded By list, then click Save. In Helm CONNECT, deactivated components are components that aren't currently being used on any of your assets. For example, they could be sitting in a warehouse. The Components tab displays all the deactivated components currently in your inventory. From here, you can add more deactivated components to your inventory, modify them, or transfer them from one asset to another. Click the Components tab, then click Edit. From the Asset field, select the asset this component is currently assigned to. This could be a vessel or a warehouse. From the Component Type field, select the type of component you're adding to the list. Select an existing make from the Make list, or add a new one by typing it in the field and clicking New. Select an existing model from the Model list, or add a new one by typing it in the field and clicking New. (Optional) In the Part Number field, enter a part number for the component. (Optional) In the Serial Number field, enter a serial number for the component. Although serial numbers are optional, we strongly recommend you add them to all your components because you can use them to search for specific components and their history throughout the system.